The challenge that Star Wars Episode IX director Colin Trevorrow faces is not an easy one. 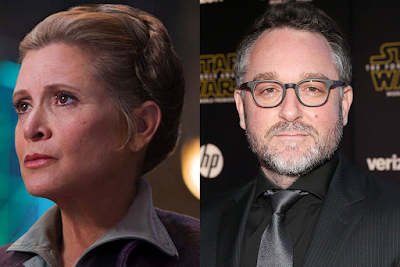 Making a Star Wars film is never an easy proposition, but he will also have to address the passing of Princess Leia actress Carrie Fisher, who died in December 2016. Fisher was apparently slated to play a major role in the 2019 film. The director spoke about these challenges while promoting his new film, The Book of Henry, with the Press Association. "Now we’ve had to deal with it in very practical ways and in a form of storytelling we know is going to honour her and keep her soul alive, but it is an unfortunate reality that we’re just going to have to handle. It’s been tough emotionally – and logistically we’ll figure that part out, but she was just very important to the Star Wars family and that was the hardest part." Trevorrow has also been under scrutiny lately after The Book of Henry came out to dismal reviews. The film currently sits at 23% on Rotten Tomatoes, and this critical failure has led some to question whether or not he is fit to direct Episode IX. (And given the recent firing of Phil Lord and Chris Miller from the Han Solo film, it seems that it doesn't matter how long a director has been working on the film, Lucasfilm has no problem dropping directors). "I know audiences have responded extremely positively to the movie … I wish that same experience could be had by everyone and I’m not going to even speculate as to why. I know the movie can be polarising because it does ask to not only face some things we don’t necessarily want to see in movies all the time, but it takes us on a journey that doesn’t really have a precedent." Trevorrow's right that audiences have been responding better to The Book of Henry than critics, though I'm not sure I would call it an "extremely positive" response (the film currently sits at 69% approval from audiences). We'll see what happens with Trevorrow on Episode IX. Opinions are split on what the recent turmoil on the Han Solo film means for Trevorrow. Some have pointed out that it shows Lucasfilm won't put up with less than stellar results, while others have suggested that the turnover on the Han Solo film means Lucasfilm doesn't want the bad press of having removed two directors on two consecutive films. For the time being though, it looks like Lucasfilm is sticking with their director.